By practising discernment with bishops and lay people alike and making them feel like insiders and participants, Pope Francis is showing the way forward. Practically every time I am invited to lunch by a family I am asked to say grace. Each time I decline. In the first place I feel that the inviting family is more important than myself; secondly, I believe very strongly in the principle of subsidiarity. The principle of subsidiarity appeared and took shape in the social doctrine of the Church but, little by little, its relevance was also seen as applicable to the Church itself, and it became a central theme of the ecclesiology of Vatican II. In the social doctrine of the Church the principle of subsidiarity disallows central authority from having absolute control of everything. Stated in simple words: authority to decide and to act should be exercised by the most appropriate local authority. This explains why I decline to say grace when the head or a representative of the family could very well do, as saying grace does not require priestly ordination. Pope Paul VI founded the Synod of Bishops to put subsidiarity into action. Recognising that the bishops too have been “taught by the anointing they had received,” (1 Jn 2:27) he wanted his authority to become an exercise of communal discernment. Unfortunately, after Paul VI, the synods ceased to be so until Pope Francis reverted the Synod to its original intention. The animated discussion in the two Synods on the Family bears witness to this. Another application of subsidiarity by Pope Francis is his passing on the responsibility for deciding certain moral issues to local bishops as the case of allowing remarried divorced couples to Holy Communion. But he goes even further. 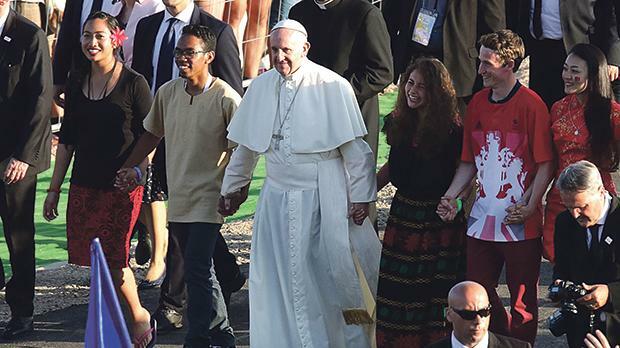 For the Synod about Young People just celebrated, he invited non-bishops and lay people, including 32 women. In this, Pope Francis is showing the way. The number of believing Christians, at least in the western world, is diminishing. There are several reasons for this but a very important one is that people have for long been expected simply to come to Church, listen to and do what the priest says, and follow the liturgical ceremony; in other words, to be ‘practising Catholics’. In such a scenario most feel they are outsiders rather than insiders and participants. Besides, this goes against the nature of the Church as described by Vatican II, which stipulates that being baptised is more important than one’s state in the Church (LG 31). If they are not helped to feel that they belong, people lose interest. Over the centuries, the Church placed all authority in the hands of the clergy who now find it hard to relinquish what is not necessarily theirs. For example, helped by eucharistic ministers while celebrating Mass in a particular parish, I asked them to bring the ciborium from the tabernacle. A note came back from higher up saying that this was not allowed because these ministers could become excessively familiar with the Blessed Sacrament and this was lacking in respect. What a silly thought! Through the way in which he is managing the synods, Pope Francis is challenging the whole Church to open wide all doors so that all may feel they are participants and insiders because all “have been taught by their anointing” and can share their religious experience, thereby enlarging the discerning community. The days when ‘the priest knows it all’ are over. Clericalism is an obstacle to discernment and can block the action of the Holy Spirit. Discernment, including the participation of as many as possible, should be the way forward, beginning from the lowest levels of the Christian community.